Roman bridge was an important part of the Roman silver route, which ran from Mérida to Astorga. 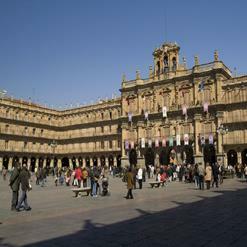 It stands 356 meters over the Tormes River, with 15 granite stone arches that leading into Salamanca. It was built in the year 89 but it reconstructed in 17th century.